In Texas, beans mean Pinto Beans. These beans are cooked up with brisket burnt ends and barbecue sauce to make them the perfect side dish for barbecue brisket. If you don't have burnt ends try a grilled steak cooked well. 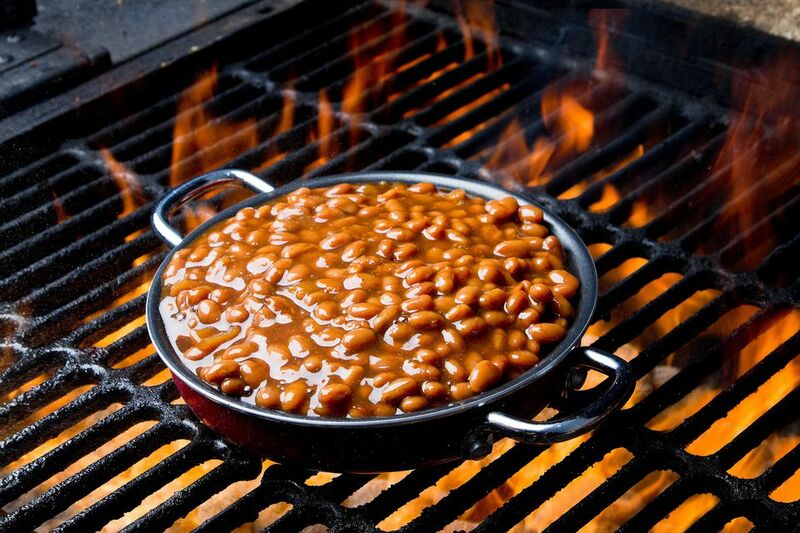 You will want a smoky flavor for these barbecue beans. Wash beans and pour into a large saucepan or dutch oven. Add all other ingredients except the salt. Reduce heat and allow to simmer for two hours, covered. Stir occasionally, bringing up the beans from the bottom to prevent burning to so they will cook evenly. Add the salt after 1 hour. The beans are done when soft but still hold their shape.